To celebrate the centennial anniversary of the founding of the Central Academy of Fine Arts (CAFA), an exhibition titled Tradition is the Power for Invention is held at the Prince Foundation School of Traditional Arts (PFSTA) from October 5th to 18th. 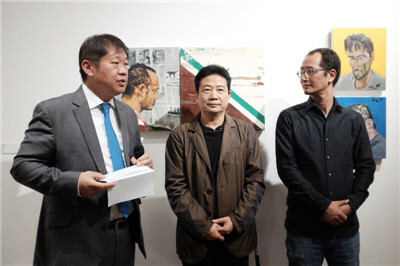 Xiang Xiaowei, Minister Counsellor for Culture of the Chinese Embassy, Zhang Zikang, Director of CAFA Museum, and Dr Khalid Azzam, Director of PFSTA, jointly opened the exhibition on October 5th and delivered speeches. 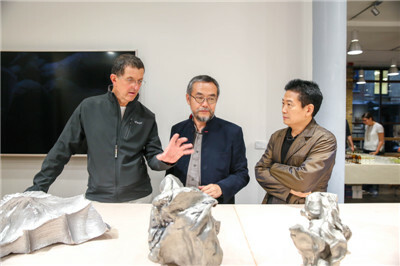 Teachers and students from London art schools such as UAL, RA, Goldsmith as well as UK and Chinese media attended the opening ceremony. 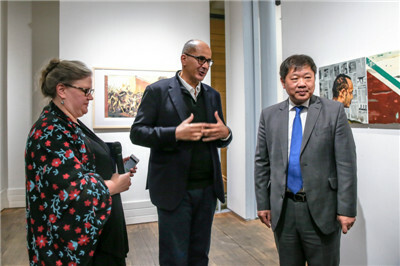 The exhibition, co-curated by Dr Azzam, Director Zhang Zikang and Prof. Qiu Zhijie from CAFA, features over 30 works by world renowned CAFA artists and teachers including Xu Bing, Sui Jianguo, Su Xinping, Liu Xiaodong, Yu Hong, Qiu Zhijie and Wang Yuyang. The viewers will enjoy an assortment of ink and oil paintings, sculptures, prints, installation and VR which embody both the rich Chinese traditional heritage and western elements.